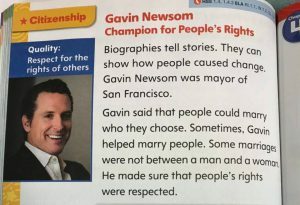 It’s curious why Gavin Newsom, the former Mayor of San Francisco and California’s Lt. 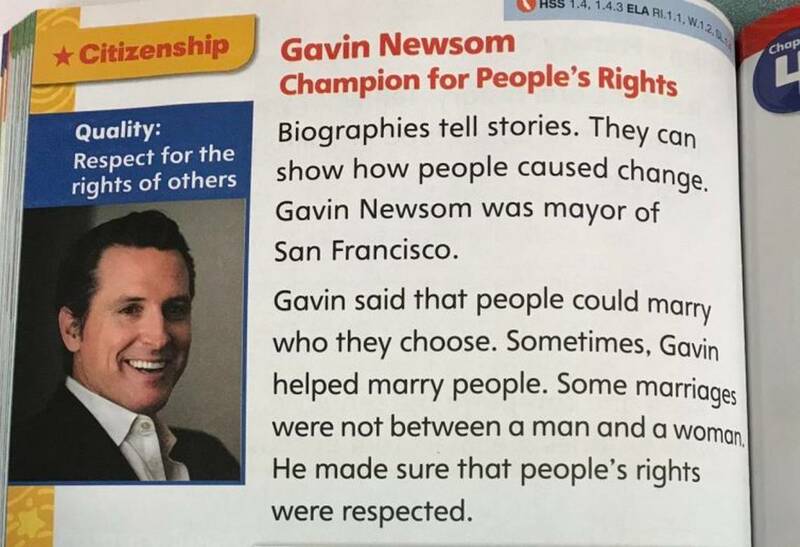 Governor, made the pages of an elementary textbook when former California Gov. Ronald Reagan, or current Gov. Jerry Brown are not in it. This is campaign hype; Newsom is running for Governor, but isn’t the Gov yet. There is already a Harvey Milk Day in California, honoring the life and death of this openly gay politician. Yet I’m not finding anything about the pedophilia or pederasty Milk engaged in. Gay journalist Randy Shilts chronicled this in a book, telling how Harvey Milk in his late 30’s, hooked up with a number of younger men, including underage men/boys, with whom he was intimate. Earlier this year, a friend sent me examples of a reading comprehension assignment for 5th grade at a school in the Central Valley, claiming that the arctic ice is melting and threatening the lives of polar bears (below). 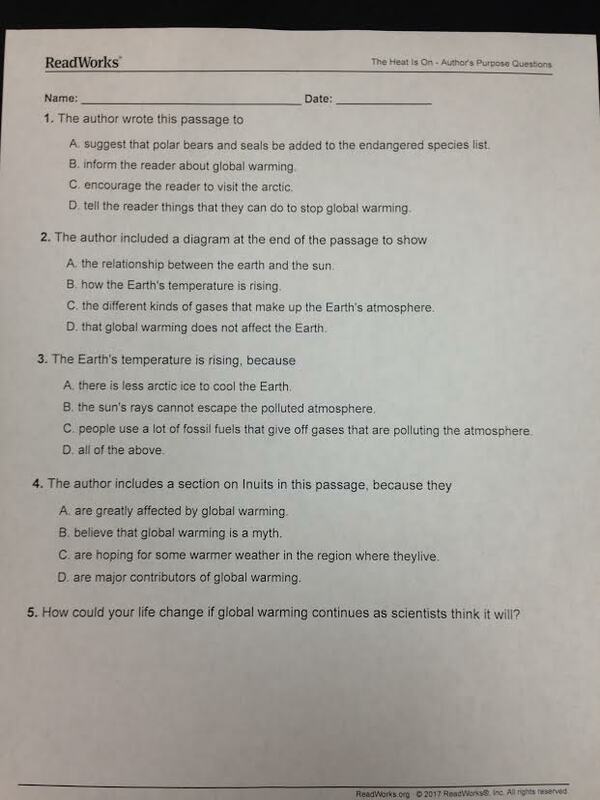 The curriculum solution is that polar bears and seals need to be added to the endangered species list… no climate change indoctrination here. This is happening all across the state of California. 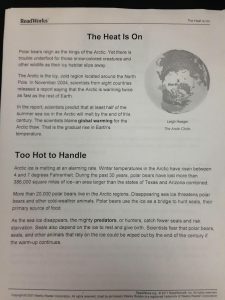 Los Angeles attorney Eric Early is working with a group of Santa Barbara parents and teachers on a complaint against Santa Barbara Unified School District over the blatant curriculum shared above. 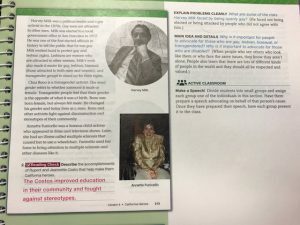 Another parent has contacted me about her unpleasant/hostile involvement with the Ethnic Studies curriculum committee in the Santa Barbara district. 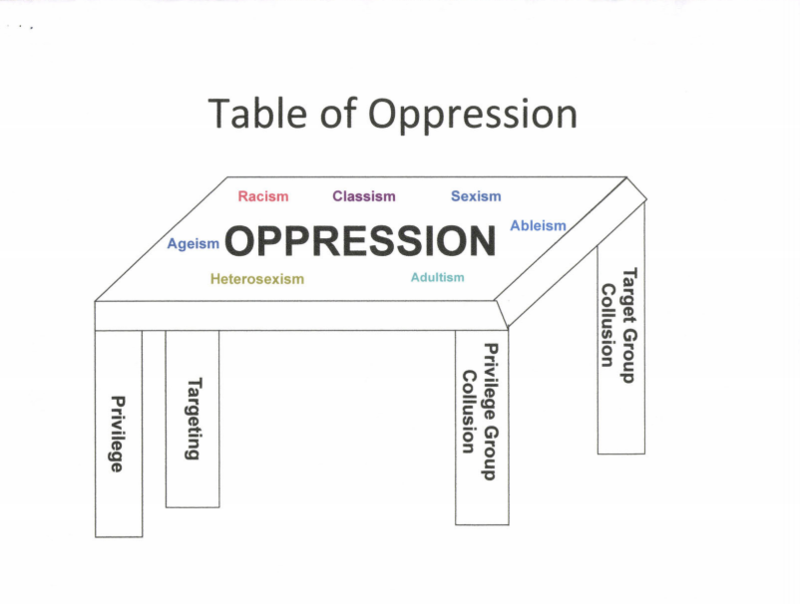 Most parents aren’t sending their children to school to learn social justice activism. Reading, writing, math, science, history, language, geography, art, music and sports are what most parents expect their children will be taught. But that is just not the case anymore. 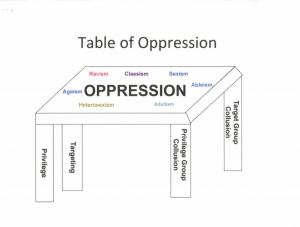 Evidence of this is seen on the nightly news with Antifa protests, universities banning speakers, and college snowflakes who melt at the mere suggestion of a real or imagined transgression. As we see in Santa Barbara, parents and teachers have brought in attorney Eric Early to challenge what they consider curriculum inappropriate and detrimental to their children. 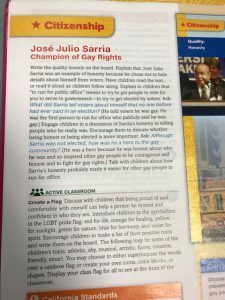 Early describes the material as “political and divisive.” While the Santa Barbara school board tabled the vote on the memorandums of understanding for now, parents are suspicious since many of the meetings with Just Communities Central Coast and the school board took place behind closed doors. 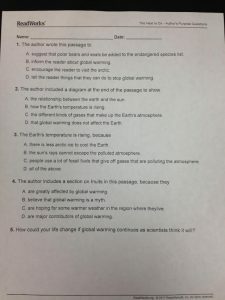 Early says the Santa Barbara proposed curriculum is “patently discriminatory against Caucasian and Christian students, and is a violation of California Government Code and California Education Code. …Because Drag Queen Story Hour at Public Libraries, to convince kids LGBTQ is normal, just isn’t doing the job. Is it any wonder that recent national and state polls show rising percentages of parents and the public that want school choice? This entry was posted on Thursday, September 27th, 2018 at 1:03 am and is filed under Blog Posts.